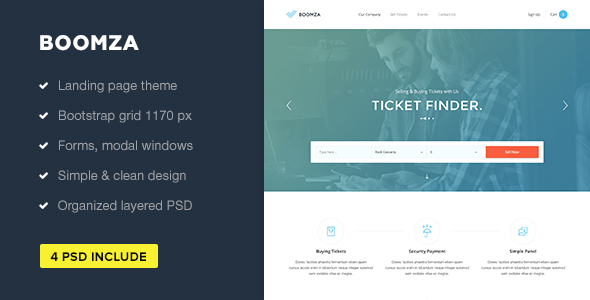 Boomza – single page oriented template with clean and simple design. Created – special for event sites. Has many functional blocks, including modal windows, pricing tables, dropdowns and many other cool items. You will get PSD’s with fully customization. If want to create business about Sell and Buy tickets this is template for you. All of the images are not included in the download.